Stunning, Rarely Available Executive style SOUTH FACING penthouse condo in one of the most sought after buildings in the city! This 2 bed+Den/2 Bath, 1400+ sf former show suite features soaring 10' ceilings, hardwood floors throughout main living area, newer carpets in the bedrooms(12), some newer lighting(12), custom cabinetry in second bedroom, and upgraded appliances(12) (induction cooktop and double convection oven). Immense windows allow loads of natural light into the space and, they along with the oversized balcony offer up gorgeous views of the St Boniface Cathedral, The Forks, Esplanade Riel and Downtown Winnipeg. 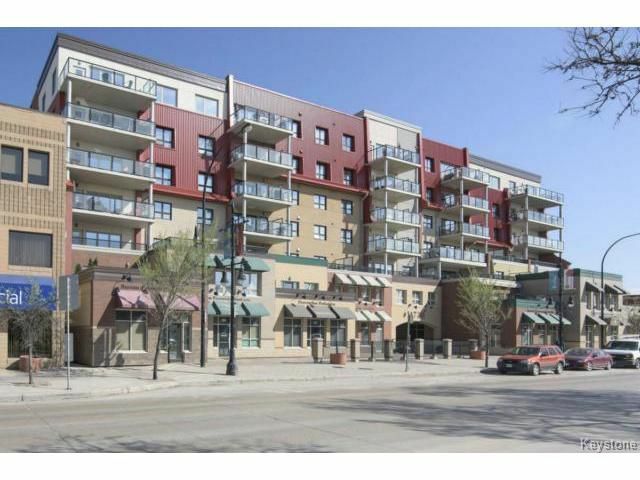 Place Joseph Royal has excellent building and condo board management. Amenities include a fitness room and a party room. Also included - a heated, underground parking stall, in-suite laundry, and storage. Walking distance to work, entertainment and many great parks. Come and experience the exceptional laid back lifestyle this condo provides.